Yoga is proven to have a deeply relaxing effect. It purifies, strengthens and stretches your body as well as improving clarity of mind. Yoga helps reduce stress levels significantly and teaches you to control stress before it becomes an issue. Hatha Flow: Louise teaches a Hatha Flow class. It is a dynamic, yet relaxing practice where we will work with synchronised movement and breath to develop strength, flexibility and flow both in mind and body. All levels welcome! Tuesdays 8.15-9.15pm @ Crowmarsh Pavilion*, Wallingford £40 block of 5 or £10.50 drop in. Contact me to book. 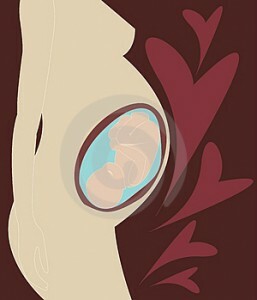 Pregnancy Yoga: Pregnancy Yoga is an excellent way to stay supple and boost energy levels during this special time. It can help relieve symptoms such as heartburn, swollen joints and cramps. Breathing/visualisation techniques will help you connect with your unborn child, reduce stress, anxiety, promote restful sleep and importantly help assist you through labour and childbirth. Tuesdays 7-8pm @ Crowmarsh Pavilion*, Stephen’s Field, Wallingford £40 Block of 5, or £10.50 drop in. (making it cheaper to buy a block, even if you miss one!) Contact me to book a place. Mum & Baby yoga: A friendly and supportive class. Combining gentle exercise, movement and songs, helping you regain strength and vitality and building your bond with your baby. The session finishes with a tea, biscuit and chat. Starts September 5th 2019: Thursdays 10-11am @ Centre 70, Kinecroft, Off Goldsmiths Lane. Wallingford OX10 0DT. £42 block of 5 Places are limited, contact me to reserve your place. *Directions to Crowmarsh Pavilion: As you leave Wallingford, crossing the bridge into Crowmarsh, be ready to take the 2nd left into Stephens Field (new development of houses) then follow it round to the Pavilion and carpark. Workplace Yoga: These sessions can take place before/after work or during the lunch break. Yoga helps to reduce stress and tension and improve energy levels and concentration. It helps with work related problems such as RSI, back or shoulder tension. For a private booking 24 hours notice must be given if you wish to cancel an appointment. Otherwise the full fee may be payable.